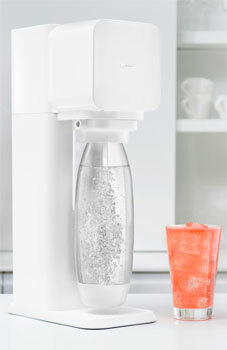 Thanks to SodaStream here is your chance to win one of 2 x white SodaStream Play machines valued at $99, each. The Play Sparkling Water Maker, designed by renowned European product designer Yves Béhar, is a fun and easy way to add a little sparkle to your favorite drinks. 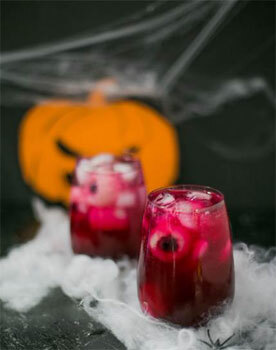 Halloween brings all things sweet with candy and drinks for the ultimate sweet tooth, but for something fun AND healthy – we've created a spooky Halloween creation as the perfect way to treat the whole family with something health and delicious. Add the "eyeballs" and the seltzer and stir lightly.